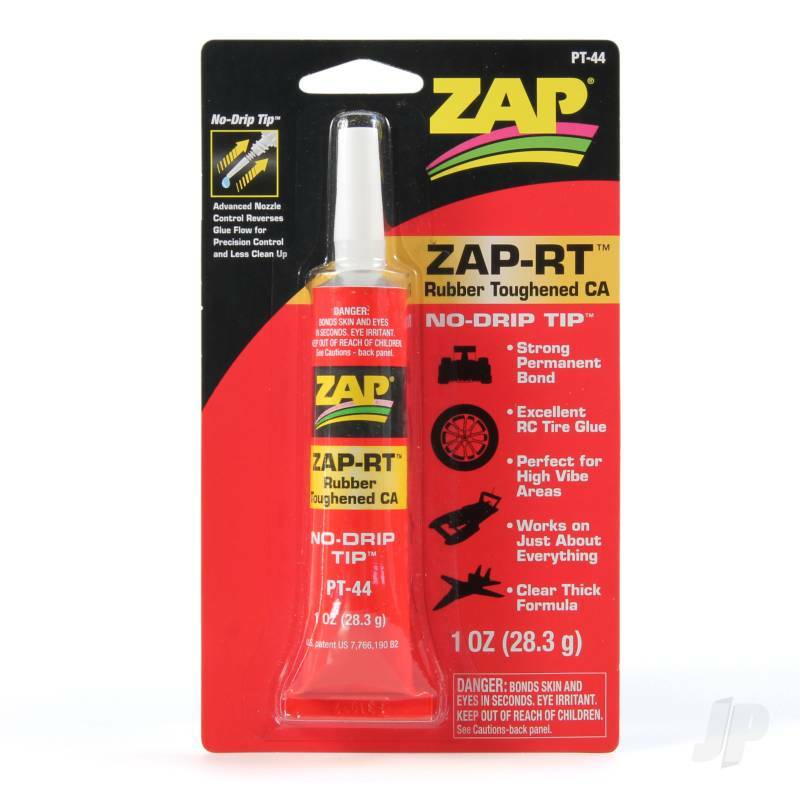 Zap has combined the strength of Zap Gel with the qualities of rubber to offer this extremely strong, vibration resistant CA. Excellent for bonding rubber to many surfaces or for high vibe applications. You can also find more similar products in the Zap brand store in Cyanoacrylates/Thick.